It’s hard to talk about technology today without at least tangentially mentioning cloud computing. It turns out that Larry Ellison was no sorcerer when he compared it to women’s fashion in 2008. Today, cloud computing is alive and kicking. For instance, I live in Las Vegas, a city rife with startups, most of which are up and running in a very short period time thanks in large part to “the cloud.” Look around the country, and really he world. Millions of small, mid-sized, and large organizations have embraced it and are seeing vast rewards in the process. Or look at your phone and you’ll see the usual suspects. Consumer-oriented companies like Amazon, Apple, Facebook, Google, Twitter, and Netflix run largely or exclusively on cloud computing. You’ve probably heard of these behemoths. but they have plenty of company: Salesforce.com, DropBox, Box.Net. and scores of other apps enable individuals and organizations of all sizes to do things better and cheaper. While we’ve seen increased adoption of cloud computing over the past five years, by no means are we finished. This was one of the themes discussed at yesterday’s IBM Cloud Forum held in New York’s Science House. (This was not your ordinary venue.) attended, along with a collection of analysts, futurists, authors, practitioners, and generally smart cookies. To be sure, opinions on “the cloud” varied. It’s clear that one size does not fit all here. I could write a book about the diversity of opinions on the topic, but one thing was readily apparent: Cloud computing is not the solve purview of large organizations, a point that I made in The New Small. Others echoed my own thoughts, including Derek Schoettle of Cloudant, a Big Data company that provides distributed databases over the Web. But here’s the rub: His is an 80-employee company. 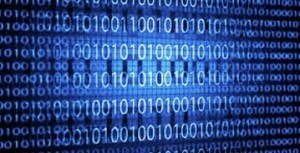 Brass tacks: Big Data is not just for big companies. There’s no shortage of benefits when it comes to moving away from on-premise applications, but don’t think for a minute that the mythic cloud solves business problems all by itself. It doesn’t. Cloud computing is no elixir. It doesn’t magically fix bad data, dysfunctional organizational cultures, or automatically integrate with legacy applications. Cloud computing: is it right for you? Enough of all the confusion around cloud computing: David Barker explains the term once and for all.